K-Drama is a bag filled with short stories of thrill, love and betrayal. When we urge you to watch K-Drama, never ever do we suggest you to watch Ekta Kapoor’s overdramatic, never-ending sagas. Certainly, a huge crowd of youngsters is drawn towards Game Of Thrones, F.R.I.E.N.D.S. and The Big Bang Theory, but you might be surprised to know that the popularity of South Korean shows, or K-Dramas, is at its peak and its followers are increasing by leaps and bounds. The more we talk about this series, the more our heart drops. 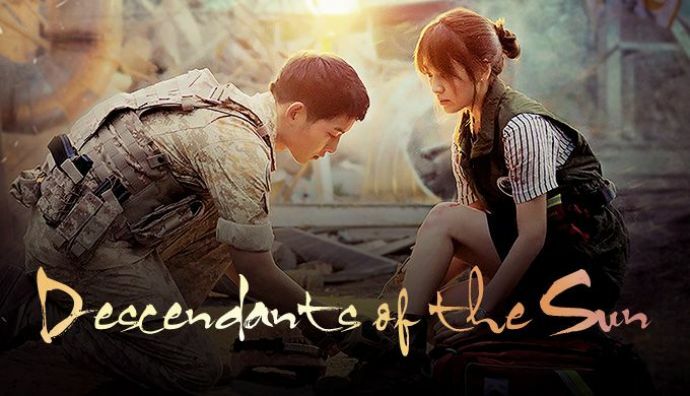 It’s a heart-warming love story of a Special Force Officer (Song Joong Ki) and a surgeon (Song Hye Kyo) whose destinies meet in the most unexpected way possible. 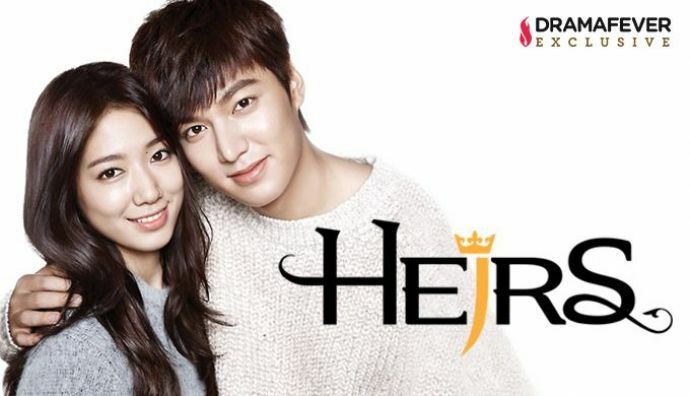 The Heirs depicts the blend of friendship and rivalry; but amidst it lies a beautiful portrayal of love led by Kim Tan (Lee Min-Ho) and a girl named Cha Eun-Sang (Park Shin-Hye). 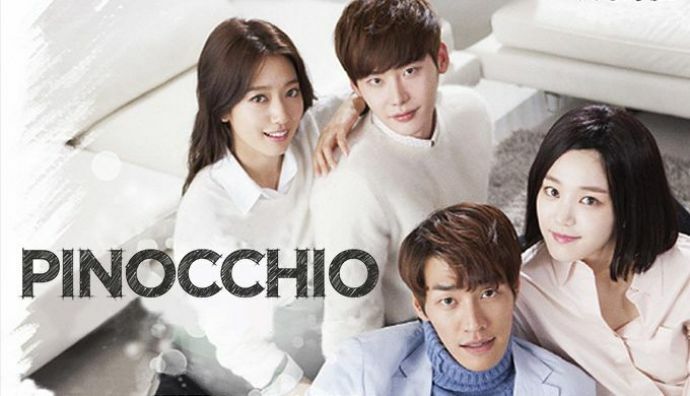 The series revolves around a bubbly, over enthusiast girl- Joo yoo rin (Lee Da‑hae). 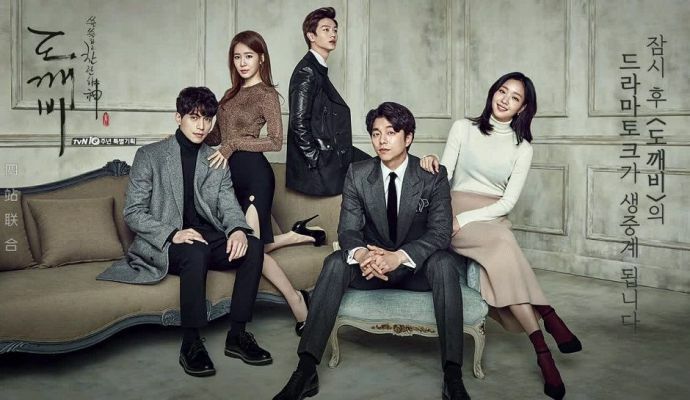 Her life changes when she stumbles upon a rich guy Gong Chan (Lee Dong Wook) who asks her to disguise her identity for a reason that gets revealed later. 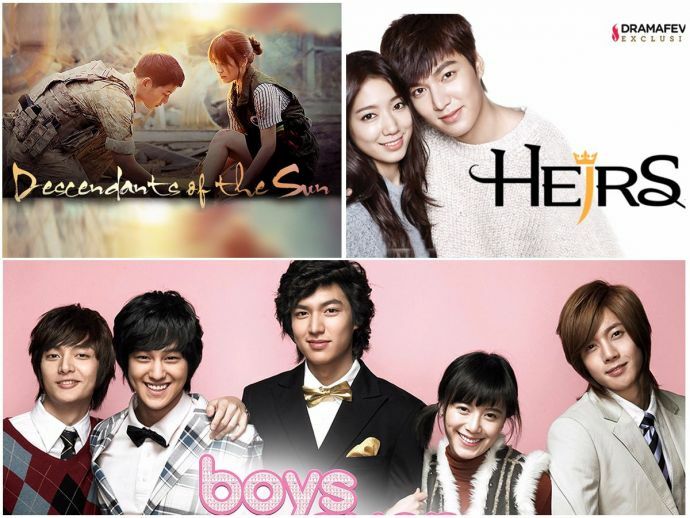 The story revolves around a poor girl (Ku Hye‑sun) who meets 4 boys in her school that make her life go topsy-turvy. The series story is totally different from what we expect. Love, trust, and friendship - everything goes for a toss with a surprising turn of events. Unlike others, this story is based on a mermaid named Shim Chung who struggles to survive in the city- Seoul. Meanwhile, the protagonist meets a charming artist- Heo Joon Jae and thereafter the tale moulds itself in the best possible way. A concept like never before, the series include Kim Shin (Gong Yoo) a goblin and protector of souls. He has lived with an amnesiac Grim Reaper (Lee Dong-wook) who is in charge of taking deceased souls. Shin no more needs immortality but needs a human bride in order to end his long life. A story of a reporter Choi In Ha (Park Shin Hye) and Choi Dal Po (Lee Jong Suk), stuck in a situation where death and life plays the major part. You see a quirky element added in this, where every time the girl lies, she get hiccups. What lies in the lies gets unveiled as the show progresses. A lovey-dovey series that is too adorable to handle. 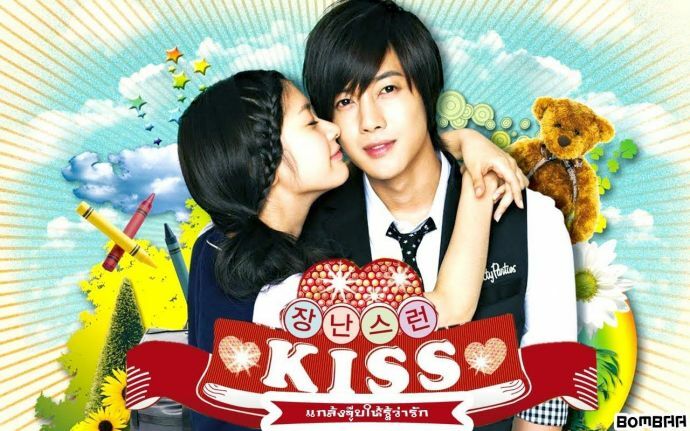 With Jung So‑min and Kim Hyun‑joong as protagonists, the series revolves around their adorable, mischievous and cute love story. The story includes some unusual events where during a total solar eclipse, a 25-year-old woman, Go Ha-jin (Lee Ji-eun), gets transported back in the year 941. Besides love, it’s the rivalry and politics that ensue among the princess and other characters, in a fight for the throne. A story of young couple Shin Joon Young and No Eul who are deeply in love with each other but get separated by some unfortunate series of twist and turns. With time, things move on, but the fire of love reunites them in a situation that is worth watching.